These discussion groups are available to foster communications between members and provide a place to announce events and training opportunities, to ask questions or make comments about the topic of the group. MARES Announce List - an email list that is used to keep Milpitas ARES/RACES members informed of nets, training, drills and other useful activities in Milpitas and Santa Clara County. There are additional subgroups you can sign-up with that cover specific topics. Membership in the announce group is required in order to join the sub-groups. You can join the announce group by going to the link above. Active This group is for announcements and discussion for active members of Milpitas ARES/RACES. Active is defined as having a current city DSW registration in the Communuications class, having completed the required ICS training, and taking part in a minimum of one city RACES event each year. This sub-group also has documents containing information that is available to active members only such as CERT Cache locations, address information, and other information of a confidential nature. Packet This group is for those involved with Packet Communications using Outpost in Milpitas. County Announce List (Main Group) - is only used for announcements that are relevant to all SCCo ARES/RACES/ACS members. There are additional subgroups you can sign-up with that cover specific toptics. Membership in the "Announce" group is required in order to join the subgroups. You can join the announce group by going to the link above. Credential Announcements and discussion related to the Santa Clara County ARES/RACES Credentialing Program. Drill-Planning Definition, discussion and coordination of Santa Clara County ARES/RACES drill activities. You must be part of the drill planning team to join. Email Discussion of and mutual user support for e-mail services and networking specific to Santa Clara County ARES/RACES. Equipment Discussion of and mutual user support for equipment used for Santa Clara County ARES/RACES activities. 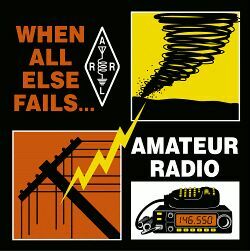 HF Discussion of and mutual user support for HF radio communications specific to Santa Clara County ARES/RACES. MAC Announcements and discussion related to the Santa Clara County ARES/RACES Mutual Aid Communicator (MAC) Program. Mesh Discussion of and mutual user support for broadband mesh networking applications and infrastructure specific to the Santa Clara County ARES/RACES. Packet Discussion of and mutual user support for AX.25 packet radio networking specific to Santa Clara County ARES/RACES. TCPIP Discussion of and mutual user support for TCP/IP networking specific to Santa Clara County ARES/RACES. Training Discussion of any SCCo ARES/RACES training topic, including exercises and on-air practice. This group is moderated to help ensure that answers are correct. Questions posed will normally be answered by the instructor for that subject area.